Sometimes dead zones happen. 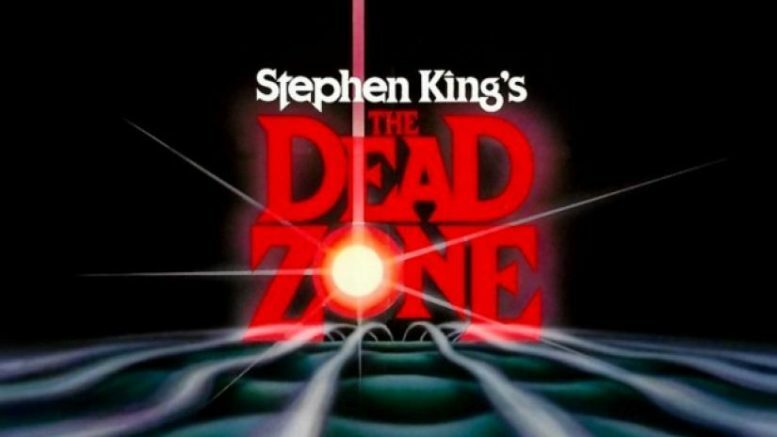 What’s a dead zone? It was an old Stephen King movie, but that’s not important right now. I’m talking about a cellular dead zone, where you get the dreaded “no service” message on your phone. There are three different kinds of dead zones, and each can be dealt with differently. Easiest: dead zone in a building. It’s surprising to me but even today new buildings have dead zones in them. A movie theater near our West Coast offices has essentially zero service except in the lobby. No one wants to be disturbed by a phone in a theater but you can’t even get signal in common areas like the bathrooms or concession stands. Fixing this kind of dead zone is dead simple. All you need to do is add a cellular signal booster. Cellular signal boosters take signals from outside and amplify them inside. A cell booster can be used in a small building or a large one, and they come in all price ranges. When you’re ready to take the leap to perfect cell service inside your building, give the experts at Solid Signal a call at 877.312.4547. They’ll recommend the perfect system. Most cell boosters can be installed by almost anyone. Larger ones need a professional. If you live up in a hilly or mountainous area, there may be a small dead zone at the bottom of a hill or valley. This is caused by the ground itself blocking cell signals. Cell signals can travel through walls and windows but when you’re talking about 250 feet of dirt and rocks, that’s another whole deal. A lot of hilly areas also have rocks that are high in iron and other metals and those rocks are going to block cell signals as well as a metal plate would. In many cases you can get great signal by putting a cellular antenna up fairly high and putting a cell booster inside a building. You’ll have to figure out how to test it, but you may be able to get some signal by putting an antenna up 50 feet or so. You can test the signal as you enter the dead zone and see when you truly lose it. I’ve seen some extreme cases where people hooked a phone up to a drone, started screen recording software, and measured when the phone actually got signal. That’s great if you happen to have all the hardware you need. Most folks don’t. Sometimes you’re just somewhere a cell tower doesn’t reach. You could be in the middle of Lake Michigan, or in the middle of the Nevada desert. While cell carriers cover well over 95% of the populated areas of the country, not every area is populated. In states like Montana and North Dakota there are still wild and woody places largely untouched by human hands. In order to get reliable cell service, you generally have to be within 1.25 miles of a cell site. There are cases where you could be further, but it’s a good rule of thumb. If you’re further in the woods than that, you’ll likely have spotty service or no service. In a case like that, if you have no service outdoors at all, there isn’t a lot you can do. You can add a microcell to a building if there’s an internet connection to be had. Often times there isn’t. Also, you’ll need to buy the microcell at full retail since carriers don’t subsidize them anymore. You can petition for a new cell site and hope for the best, but that takes years sometimes. There are satellite phones if you have a good line of sight to the sky but they’re super-expensive. I wish I had a phone number to give you for those occasions, but when you’re truly out of cell range, there’s not. On the other hand, as long as you have even one bar, a cellular signal booster will give you great service indoors. A flat satellite cable? Could it be? Which carriers use which cellular bands?